I have just finished reading a remarkable novel, The Dolphins of Oceanus by John Hoopes, which has kept me thinking and speculating about dolphins, whales and the ocean, in a way that I have never done, even though I have been a fan and student of dolphin, whale and ocean most of my adult life. 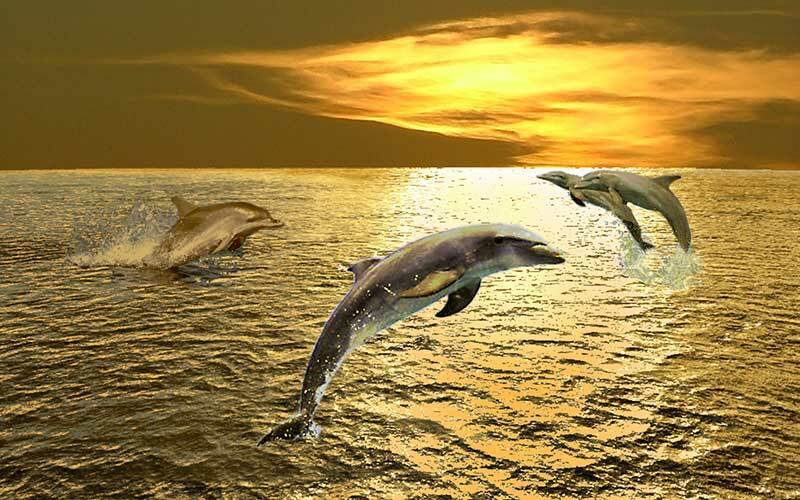 I am old enough to remember John Lilly’s experiments in the 1970s and 80s with dolphins, trying to establish a human-dolphin communication. As I recall, he didn’t ever quite achieve what he’d hoped and eventually gave up the project. But when I read about those experiments in books like The Mind of the Dolphin I felt akin to him in spirit: that is, he was going on the assumption, which I shared, that dolphins had a high order of intelligence, and perhaps, in ways we didn’t yet understand, they could use their large brains in sophisticated ways, comparable to ours, could we but somehow penetrate deeply enough into their psyches to discover that. And I remember a question that kept popping into my mind then: Well, if dolphins really are as intelligent and sophisticated as humans, what do they do with all that great intelligence? How does it manifest in their world? They cannot make material things. They leave no visible, tangible signs of intellectual or artistic creation. What then could it be? I admit, I am not essentially a deeply imaginative person, and I was never able to come up with any speculations that even remotely satisfied me, and I soon gave up speculating. However, so many years later, when today I’d finished reading this amazing new novel, I knew that someone had finally accomplished, in spades, the imaginative leap that I had not been able to make years ago, and had created a vivid undersea world, full of intelligence and emotion, of spiritual awareness even; and in addition had populated that world with an array of individual dolphins who were all as distinctive and unlike each other as any such collection of humans could be. Quite a feat. One of our biggest clichés about dolphins and whales, is that they are all gentle, benevolent beings, all apparently living in perfect harmony with each other and with their oceanic environment. The Dolphins of Oceanus also overturns that applecart: there are dolphins and whales we encounter in this novel who have tragic flaws, who can be devious, who intrigue against each other or against the colony for personal gain; there are others noble, spurred by high ideals and capable of great sacrifice for a higher good. In other words, the citizens of this undersea world are as psychologically and spiritually complex and unpredictable as humans. A rich involvement of character results from it. So this novel has performed a great service for us by making at least a reasonable attempt at answering that important question: Well, assuming their high intelligence, what would their life be like? We as humans need an answer to this. The answer doesn’t have to be perfect, just something that will take us imaginatively inside that hitherto closed door, let us look around inside that amazing room; and then take that information back outside and use it to help reassess our own position on this planet. Do we already have a nearby, great, alien ally? Something in this novel suggests that the answer to that old, old question—is there anybody like us out there?—could be very near at hand; has been here all the time; we just didn’t know where to look, whom to ask. Not outward and upward and into spectrums of light-year; but right here, down below, into the dark, mysterious depths of our own Oceanus. You can read free the first several chapters on the author’s website at www.bellamagicbooks.com.